This material is used in high purify fluid handling systems and parts. PVDF material has excellent abrasion resistance, nuclear radiation resistance and unsurpassed chemical resistance. Used in extensively in application for extremely very low moisture absorption and resistance to virtually all chemicals and solvents. The most popular trade name is Kynar® and Kynar® 740 – made by Arkema®, but also known as: HD1000, Ensikem®, Tecaflon®, Mechatec® PVDF, Polystone® PVDF, Unitar®, Sustatec®, Kytec®, Symalit®, Foraflon®, Solef®, Trovidur® and others. 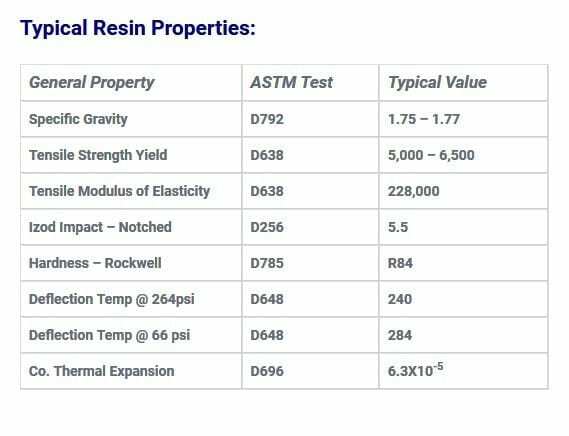 This material has excellent abrasion and exceptional chemical resistance. Has high dielectric strength and very good mechanical strength.